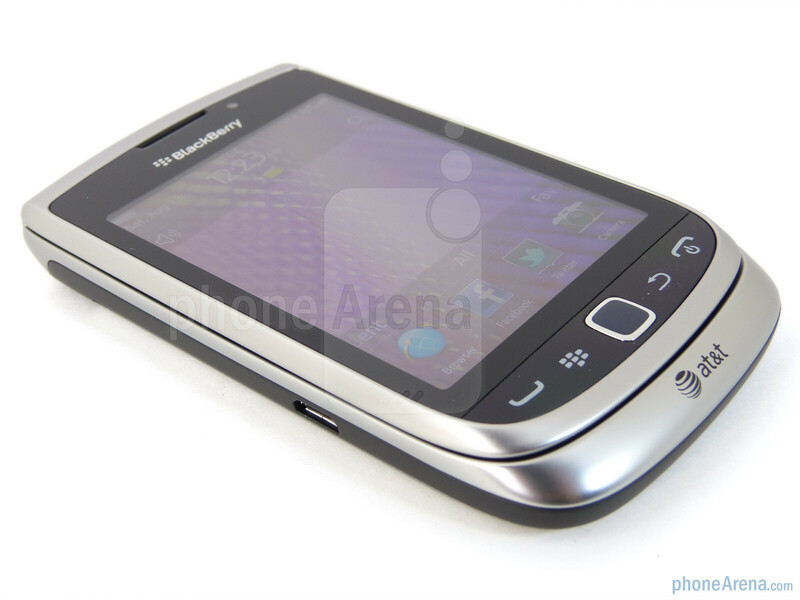 Last year, the BlackBerry Torch 9800 was by far the most touted device out of RIM’s camp mainly due to its new form factor and updated platform experience. 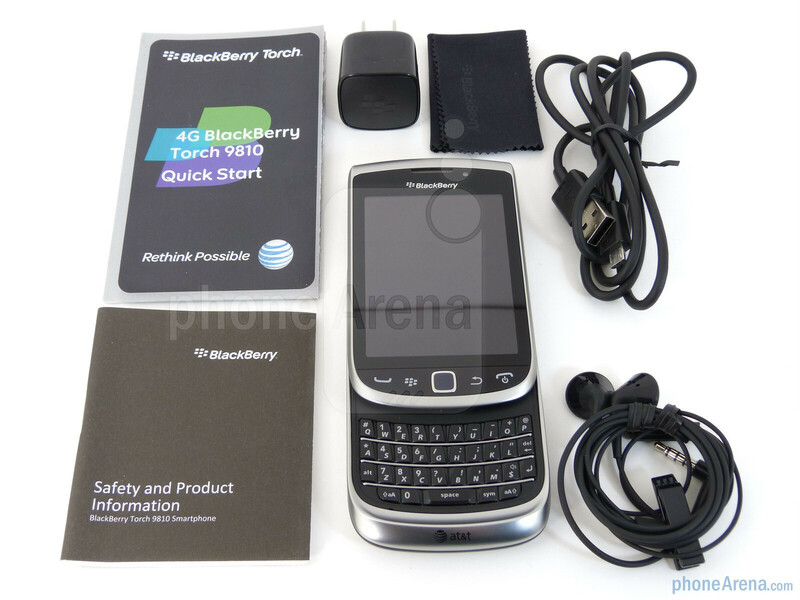 It was expected to be a rival of other high-end smartphones at that time, but unfortunately (for RIM), it was unable to establish itself as a phone capable of reeling in new users. 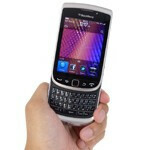 One year older and wiser, RIM unleashes its obvious successor in the face of BlackBerry Torch 9810 for AT&T, which is hopeful in making a bigger splash than its predecessor thanks to its upgraded hardware and OS. 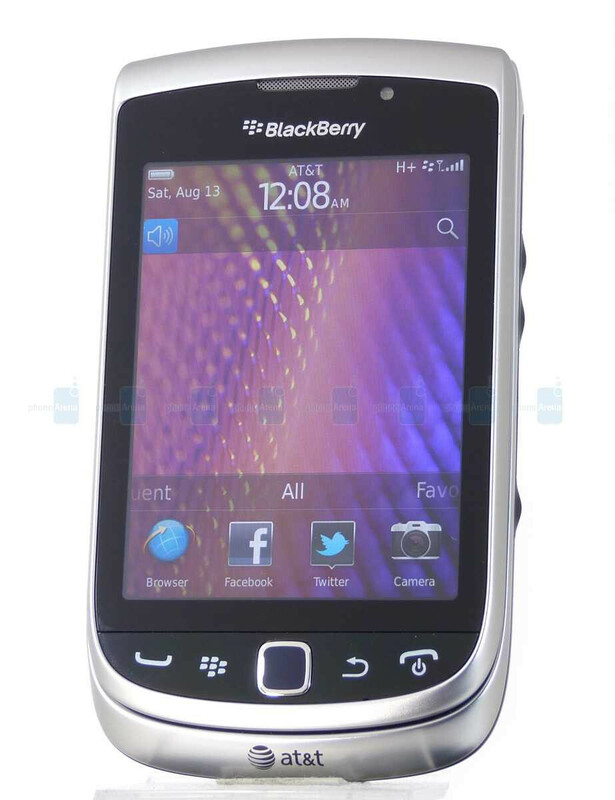 Will it be enough to bring back any glint of prominence to this still relatively new BlackBerry line? 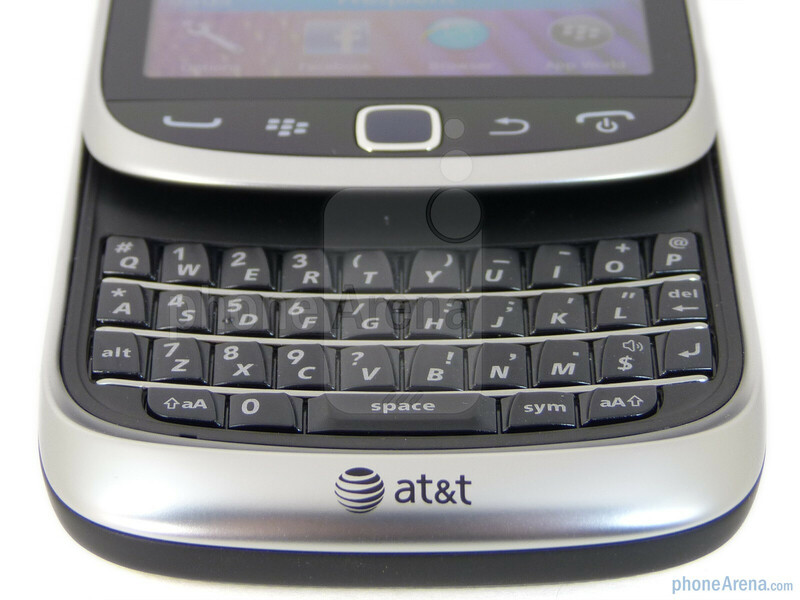 Not hiding it at the very bit, the BlackBerry Torch 9810 recycles the design of its predecessor in every way except for the new paint job it’s sporting - which is a black and silver trim this time around. The Torch 9810 is clearly not one of RIM’s most iconic devices, utilizing a mostly plastic casingwith some metallic accents. Far from being charming, the Torch 9810 has the same weighty (5.68 oz) feel in the hand – albeit, it doesn’t seem too overbearing in size. Although it’s not the first time we’ve seen successive devices relying on older designs, it still would have been nice to see some subtle changes to give it the illusion of being a different handset altogether. Recycling the design of the original is actually hurting the Torch 9810 mainly because it’s going to have some difficulty in shedding its predecessor’s missed expectations. 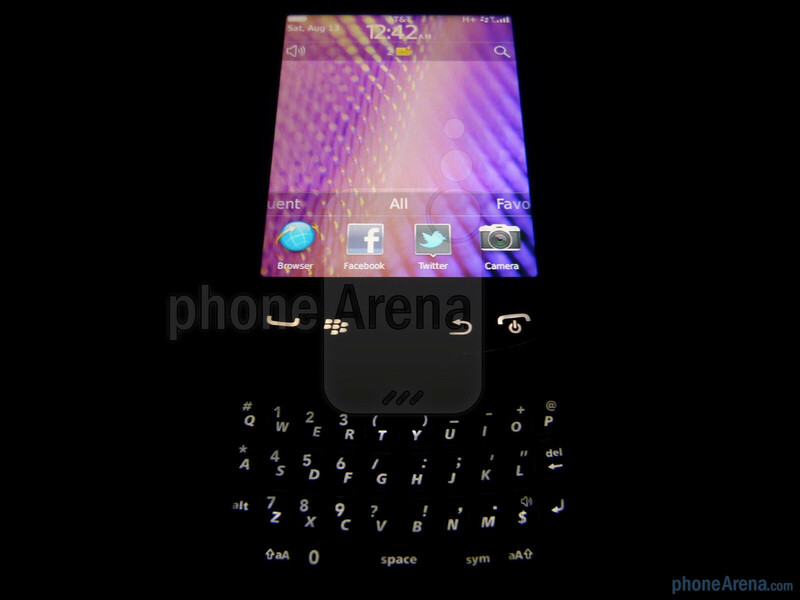 You can compare the RIM BlackBerry Torch 9810 with many other phones using our Size Visualization Tool. Turning on the handset, we’re greeted with the first recognizable improvement – its 3.2” display now features higher VGA resolution (480x640 pixels), which translates to a pixel density of 253 ppi. Naturally, there’s some progress made seeing that details are more sharp looking than before – but still, pixel density is not world's best. It is able to display some luscious looking colors that retain their vividness – though, fading at extreme angles can be noted. Finally, we’re still left finding ourselves shielding it occasionally while under the presence of the gazing sun. As we’ve mentioned a few times, the Torch 9810 retains its predecessor’s design – meaning, we find the same set of buttons and ports . 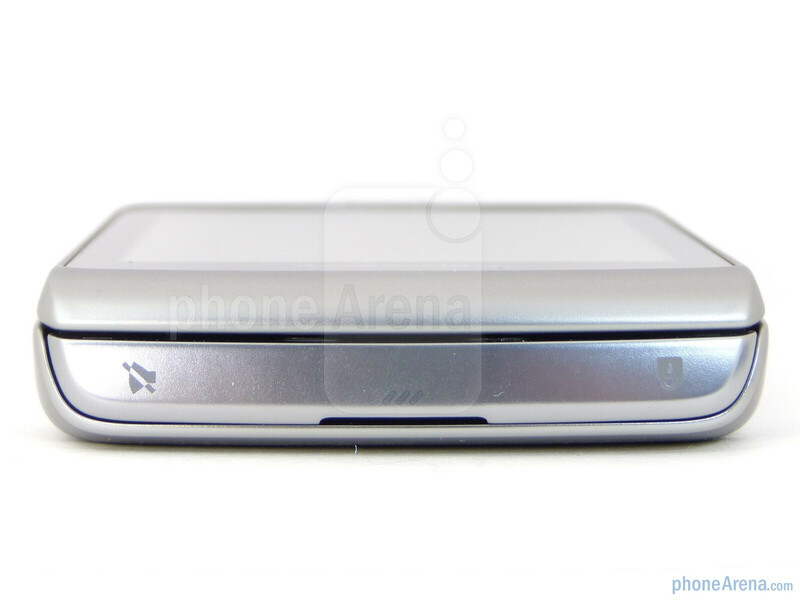 One of the more notable items that we continue to find refreshing is the optical trackpad, which appears to be one of the hallmarks of any BlackBerry smartphone. It provides an easier way of positioning the cursor into an exact spot – as opposed to fumbling around touching the display to get it into the correct position. 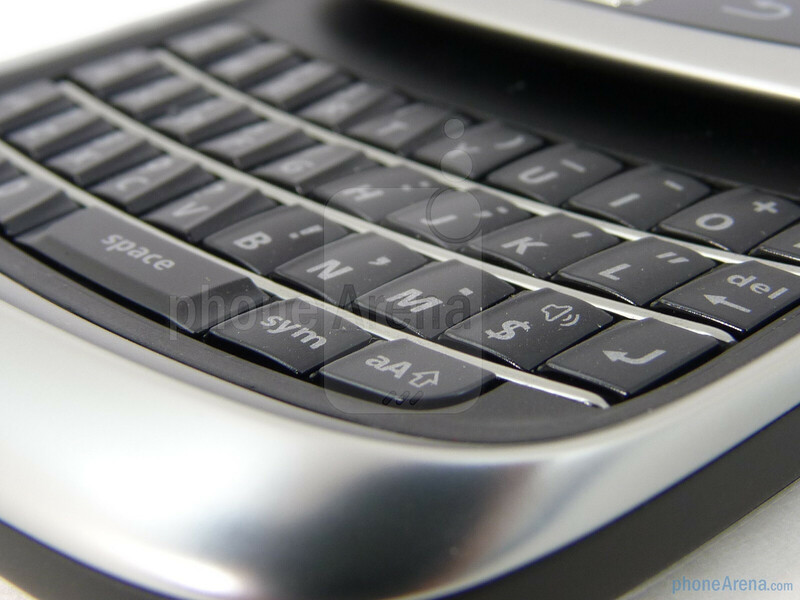 It’s not to say that we fell in love with the Torch’s keyboard, but we were yet again hoping to see some sort of discrete change with the Torch 9810. So whether you loved or hated it, the same exact keyboard is back with this one. Indeed, it’s not the best one that RIM produced - buttons are tiny in size and stiff to the touch. With this combination, it definitely impedes our rate of inputting text, but for those with plenty of patience, they’ll find it to be usable for most occasions. 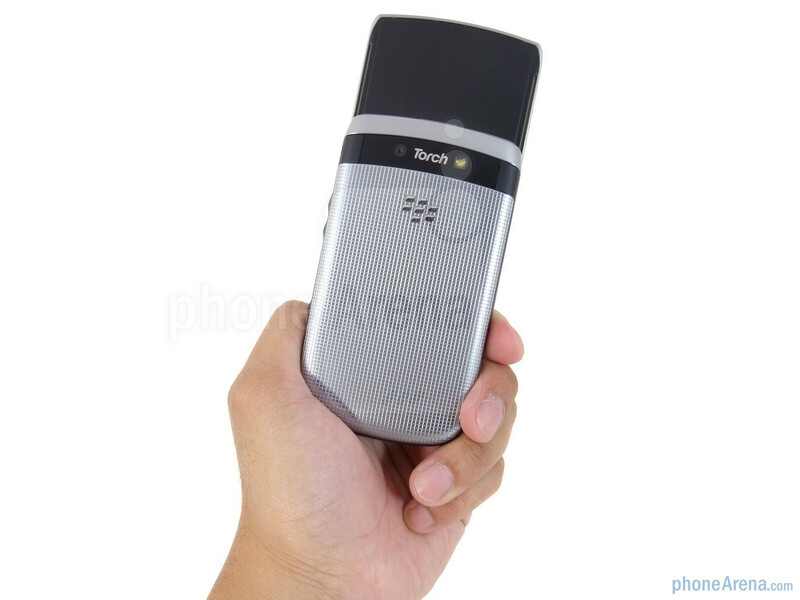 Granted that we find the same 5-megapixel auto-focus camera with an LED flash in the rear, it’s worth noting that the Torch 9810 can now actually shoot 720p high-definition videos – whereas the original was limited to VGA video capture. 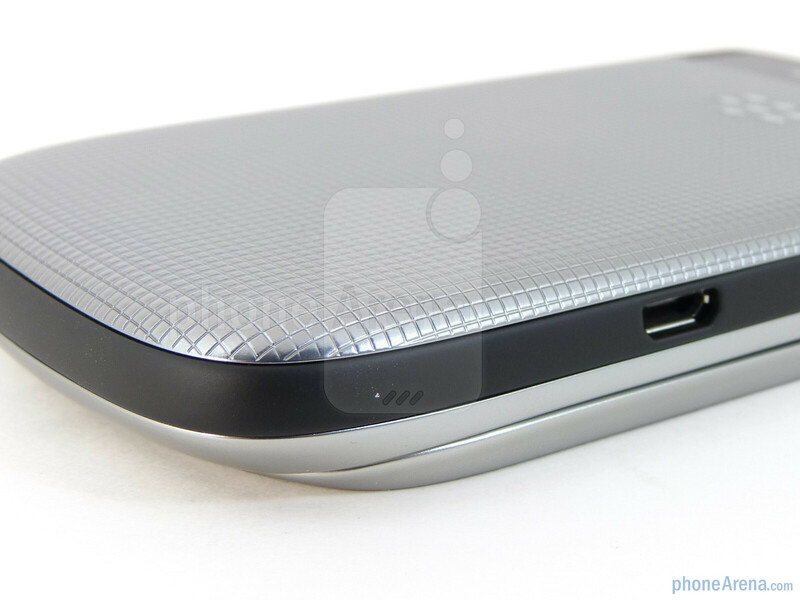 Finally, sliding off the flimsy plastic rear cover, we’re given access to its unoccupied microSD card slot, SIM card slot, and its slightly reduced 1,270 mAh battery. 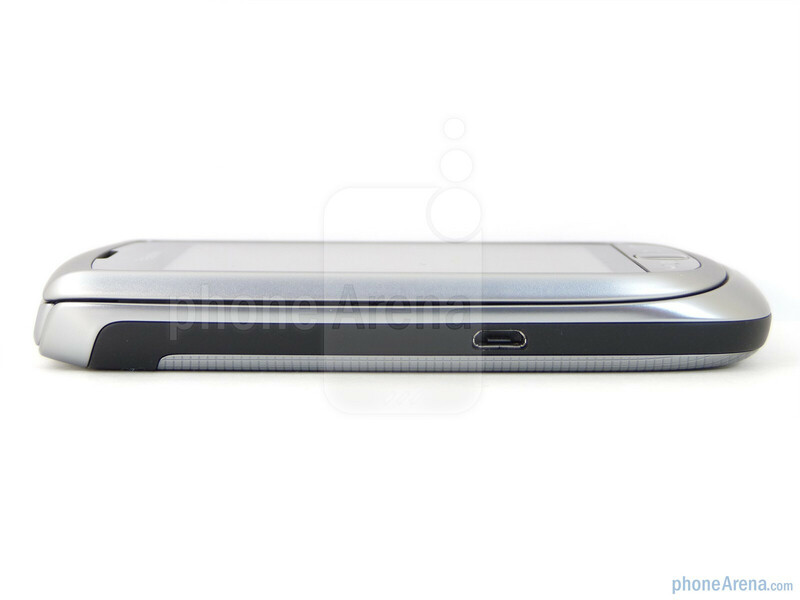 If the iPhone 5 looked exactly like the iPhone 4, will PhoneArena give it a con for 'Recycled design'? why do you care so much how the iphone will be rated? 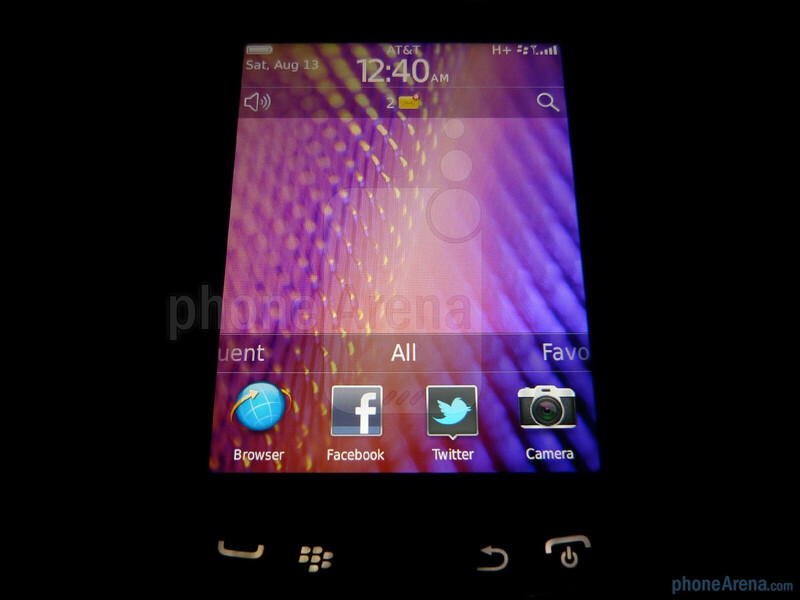 How does iphone rating effect the blackberry rating? what if phonearena doesn't give iphone a con for recycled design? what will happen then? will your eyes pop out, you get prostate cancer, excessive urination. what? you my friend are waaaaaaay to much invested in this. Actually, I have nothing invested in this. You seem to be overreacting a bit. My point was that PA has some arbitrary standards as to what constitutes a recycled or rehashed design. PA had no issue with the fact that the iPhone, iPhone 2, and the iPhone 3G were identical, yet the 9810 gets a knock for a recycled design. I don't own an iPhone or a 9810. I set up the phones for my company's account, and a few of our people have 9810's and the original torch from last year. They're well-built, with a solid feel, and they're not ugly phones by any stretch. So keeping the same basic design is not a con in my book, but it is in PA's. This phone is still going to sell quite well. Even the previous version still sells. 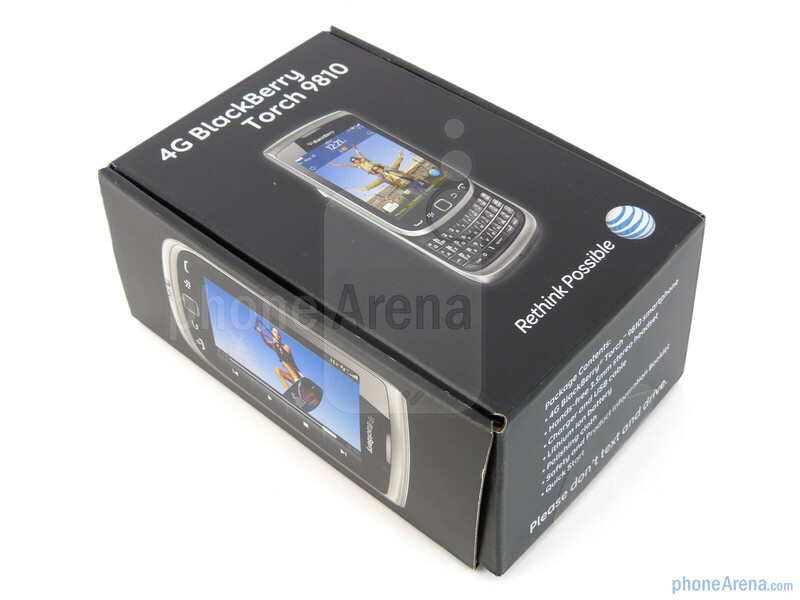 I have an HD2, G2x and Sensation 4G, and if I had to get BB, I would still choose Torch 1/2, Its a really good phone, I recommend trying one at AT&T for about 20 minutes. Actually, I think it is a fair review. This is not a bad phone, as they do not slam any single area. But overall, it doesn't do anything to grab you by the throat and say "BUY ME!!!" like a lot of high end models do today. 2 complaints I do have: I do get a little tired of the dual-core processor baseball bat they use. They give high marks to single core reviews all the time. Dual core is not available in even the majority of devices used yet. 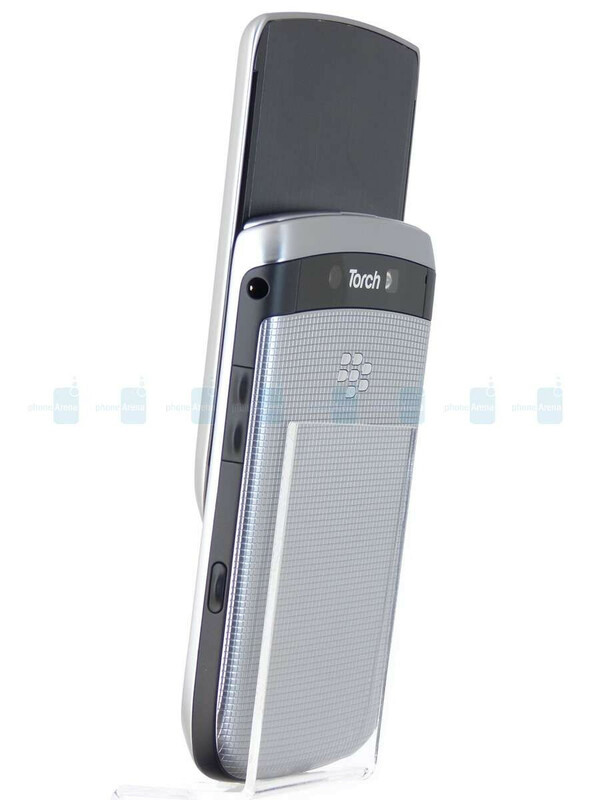 It is worth mentioning, but the Torch 2 is not priced at high end level, and should have been reviewed as a mid-range offering. At the 50.00- 100.00 price point, it is a good buy by the review. Secondly, if you have the original Torch and like the design, RUN and get this device. Everything is better. 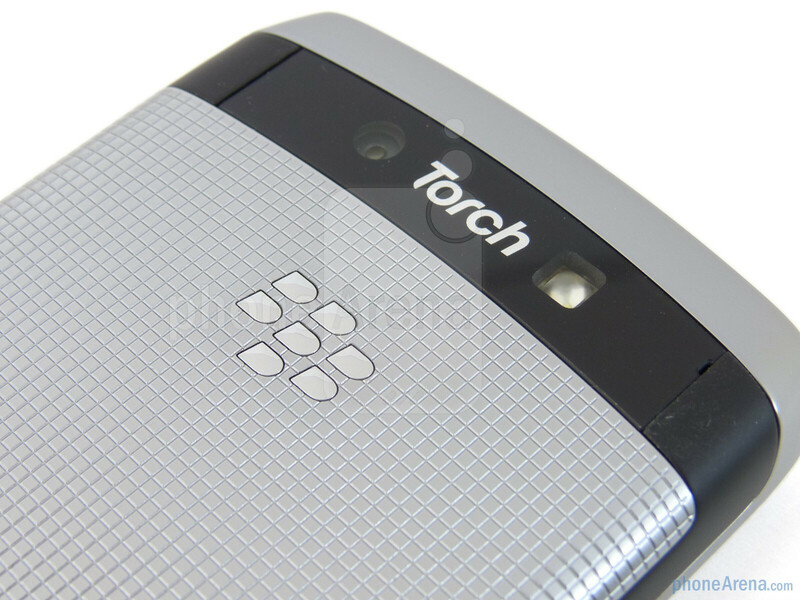 Not recommending it to current Torch owners who like Blackberry and want to stick with it is strange.. This phone is not gonna sell well. It's the exact same thing as its predecessor! First thing I just pulled the battery from my Torch 9800 and its battery say 1,270 mah so its battery is not a downgrade. Two most phone look similar to each other nowadays so knocking off points because RIM used a design they feel works is unfair. This will be great for the money. Too bad the 9900 will not be available yet. I have it from Canada and it is great. Att needs to stop riding the iPhone wave. I love how this is 4G yet there is still a great chance iphone 5 will not be. Just picked it up yesterday, gf has the older version which is now not responding to touch...none the less good phone EXCEPT: APPs that no longer work! -Etrade -Pandora -Ebay and a whole slew of others. How is it that my 8900 can run all of them with an old OS, yet none of these will work? Thanks a lot Blackberry Etrade doesnt even work on the older 9800 apparently, so now I'm really screwed because I need a keyboard, and the only one left that is worthwhile is the retarded HTC Status. If I could trade in my 9800 for this I would, but I highly doubt I'll use my upgrade this December to move to this device. I do love my Torch, but I don't feel this is different enough to warranty a new 2-year contract. I played around with the new BB's at the AT&T, Verizon, and Sprint stores. 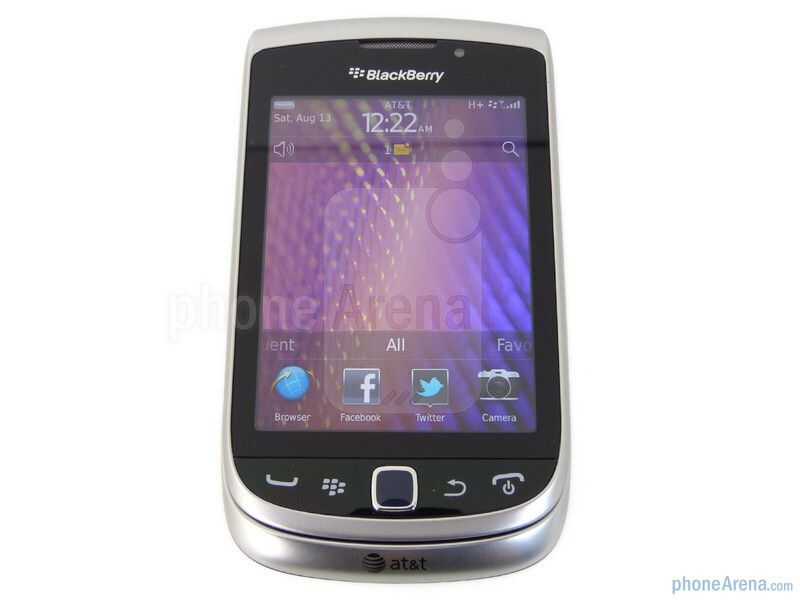 Of all of them, I actually liked the 9810 the most, even though most BB fans prefer the 9900/9930. 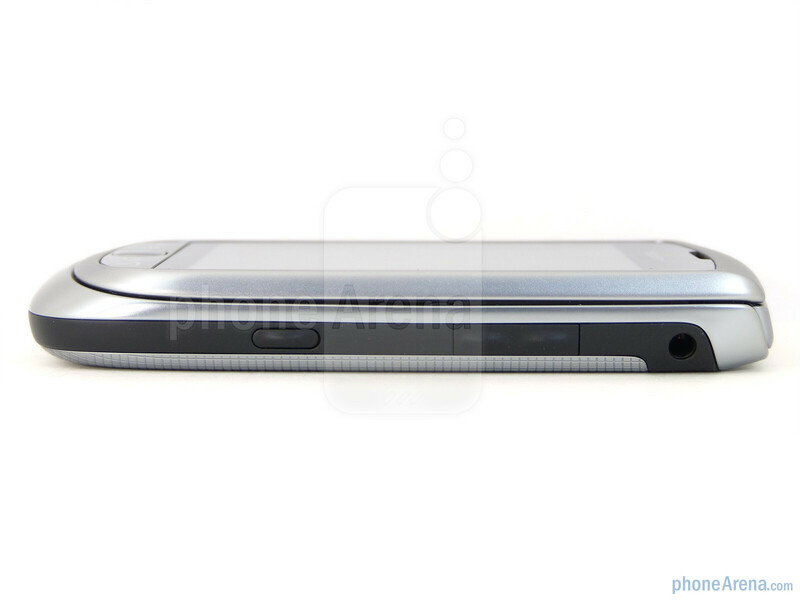 I think Blackberry should have made the screens slightly larger: 3.0" for the 9900/9930, 3.5" for the 9810, and 4.0" for the 9850/9860, with maybe a slight increase also in resolution. 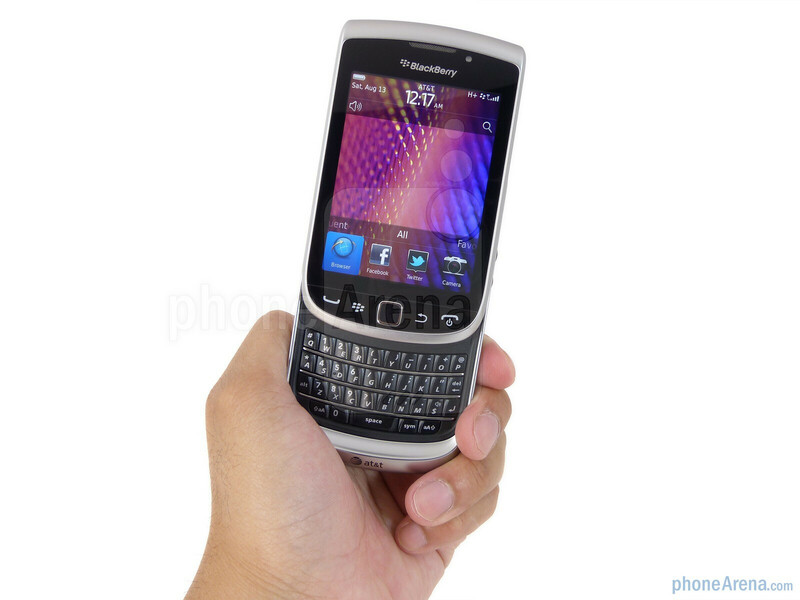 The reason the 9810 was my favorite was: It felt faster than the 9850/9860, had a bigger screen than the 9900/9930, and I found I could type on its keyboard just as fast as I could on the 9930. It really was the best of both worlds. Plus very intuitive to use. Constantly opening and closing the slider was a bit of a pain, but oh well. If that screen had been 3.5" or larger, I would have bought it on the spot, even if the phone had needed to be a bit larger to accomodate the bigger screen. And for people who say "You want a bigger screen, go for the 9850", my response is that I also want the physical keyboard. the person who wrote the performance section didn't realize that BB is for business use, the single core SoC consumes much less battery thus provides much longer time to use. I have the torch 9810 ..Has anybody encountered problems to remove the battery..Is there an easy way to remove the battery rather than using objects to pry the battery out. Removal of batter is very easy. Just use fingernail on the top edge of battery....you'll feel a little ridge. It lifts up quite easily. I just bought this phone two days ago and I'm loving it. To give this phone the same score as the crappy Impulse is somewhat ridiculous. I think this review is too harsh. This phone is a very good phone. I personally like that it didn\'t change it\'s form from the 9800. I hate all these almost identical slab candy bar phones out there. You can\'t tell one from the other until you read the manufacturer name somewhere on the phone. Yeah, that\'s really styling!! (Not!). Yes, there are other phones \"better\" than this one in some areas, but they usually have tradeoffs. My friend has an HTC EVO, which is amazing. Of course, it\'s completely drained after 2 hours of heavy use. 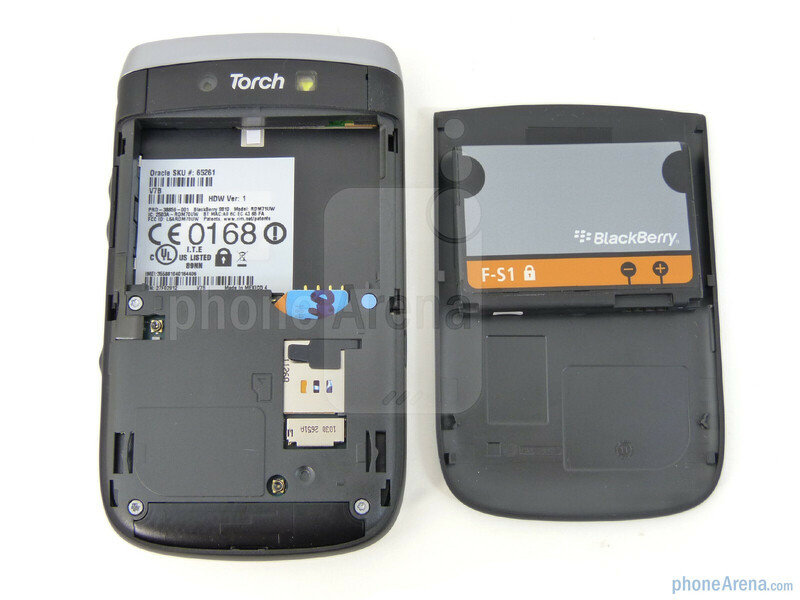 He said my 9810 lasts forever compared to his EVO, which is saying something as I am not impressed with the Torch\'s battery compared to other blackberrys. Samsung has great media phones, but a lot of them have weak signal strength and call quality and don\'t EVEN get me started on the iphone 4 reception and call quality. Anyway, this phone should be rated no less than 8 IMHO.